Optical architecture for the multiple-prism beam expander microscope/nanoscope (MPBEM/N). The beam incident on the object can be, for example, 25-50 mm wide X 25 µm high. 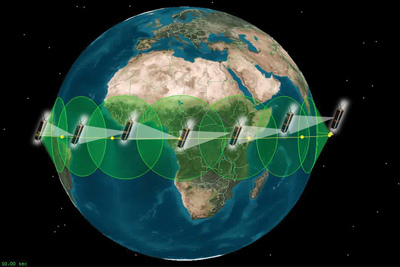 This is an extremely elongated beam (in the plane of propagation) with a width to height ratio in the range of 1000:1 to 2000:1. Comparisons between theory and experiments, in the NSLI configuration, have been performed for even values (N = 2, 4, 6...) and odd values (N = 3, 5, 7...) of N. This includes the cases of two-slit interference, three-slit interference, four-slit interference, etc. (Duarte, 1991, 2002, 2005). 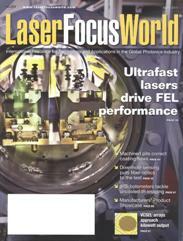 For reviews see Tunable Laser Optics and Tunable Laser Applications). The 1991 and 1993 papers also reported, for the first time, on the use of quantum mechanics techniques, via Dirac's notation, in the field of imaging. In addition, these papers illustrated the prediction of measured interferograms using interferometric equations derived using Dirac's quantum notation. F. J. Duarte, Interferometric imaging, in Tunable Laser Applications, Third Edition, F. J. Duarte (Ed.) (CRC, New York, 2016) Chapter 10. 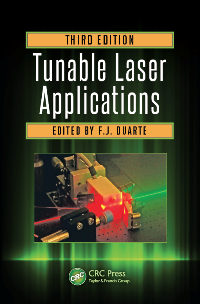 F. J. Duarte, Tunable laser microscopy, in Tunable Laser Applications, Third Edition, F. J. Duarte (Ed.) (CRC, New York, 2016) Chapter 9. 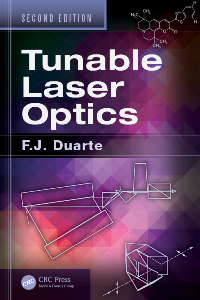 F. J. Duarte, Tunable Laser Optics, 2nd Edition (CRC, New York, 2015). F. J. Duarte, T.S. Taylor, A.M. Black, I.E. Olivares, Diffractive patterns superimposed over propagating N-slit interferograms, J. Mod. Opt. 60, 136-140 (2013). F. J. Duarte, T. S. Taylor, A. M. Black, W. E. Davenport, and P. G. Varmette, N-slit interferometer for secure free-space optical communications: 527 m intra interferometric path length , J. Opt. 13, 035710 (2011). F. J. Duarte, Triple-slit experiment, Optics & Photonics News 22(12), 7 (2010). F. J. Duarte, T. S. Taylor, A. B. Clark, and W. E. Davenport, The N-slit interferometer: an extended configuration, J. Opt. 12, 015705 (2010). F. J. Duarte, Interferometric imaging, in Tunable Laser Applications, 2nd Ed., F. J. Duarte (Ed.) (CRC, New York, 2009) Chapter 12. F. J. Duarte, Secure interferometric communications in free space: enhanced sensitivity for propagation in the metre range, J. Opt. A: Pure Appl. Opt. 7, 73-75 (2005). F. J. Duarte, Tunable Laser Optics (Elsevier-Academic, New York, 2003) Chapter 2. F. J. Duarte, Interference, diffraction, and refraction, via Dirac's notation, Am. J. Phys. 65, 637-640 (1997). F. J. Duarte, Generalized interference and optical processing, in Proceedings of the International Conference on Lasers '95, V. J. Corcoran and T. A. Goldman (Eds.) (STS, McLean, Va, 1996) pp. 615-617. F. J. Duarte, Interferometric imaging, in Tunable Laser Applications, F. J. Duarte (Ed.) (Marcel-Dekker, New York, 1995) Chapter 5. F. J. Duarte, Dispersive dye lasers, in High Power Dye Lasers, F. J. Duarte (Ed.) (Springer-Verlag, Berlin, 1991) pp. 7-43. F. J. Duarte and D. J. Paine, Quantum mechanical description of N-slit interference phenomena, in Proceedings of the International Conference on Lasers '88, R. C. Sze and F. J. Duarte (Eds.) (STS, McLean, Va, 1989) pp. 42-47. 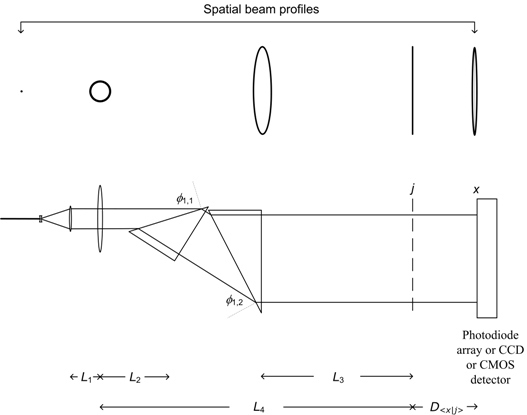 F. J. Duarte, Beam shaping with telescopes and multiple-prism beam expanders, J. Opt. Soc. Am. A 4, P30 (1987). *Derives the cavity linewidth equation using Dirac's notation to describe the intracavity propagation in a dispersive laser oscillator. **Introduced the concept of N-slit interferometric microscopy. Also demonstrated, for the first time, the use of quantum mechanics techniques in the field of imaging and the use of extremely elongated thin beams (of approximate dimensions 25-50 mm wide X 25µm high) as illumination sources in microscopy and microdensitometry. This type of one-dimensionally beam-expanded illumination for microscopy has also become known as thin light sheet microscopy (TLSM) and selective plane illumination microscopy (SPIM). ***This note explains the Dirac approach to interference, in the context of the laser, and is included in the editor's choice for papers published in the American Journal of Physics for the 1988-2001 period (R. H. Romer, Editor's choice, Am. J. Phys. 69, 635-647 (2001)). 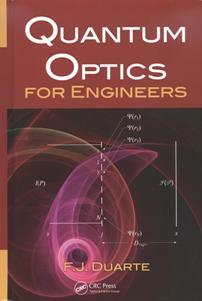 ****Introduced the concept of interferometric characters in secure optical communications. *****This note expands slightly on the 1997 paper and explains how Dirac's quantum notation is used to provide a unified description of interference, diffraction, refraction, and reflection. It also describes why the probabilistic single-photon generalized interference equation, derived using Dirac's notation, can be applied to the description of interference of large numbers of indistinguishable photons, or ensemble of indistinguishable photons, observed in the macroscopic domain. �� interference can be analyzed via the interaction of probability amplitudes. These probability amplitudes are said to be represented by wave functions. 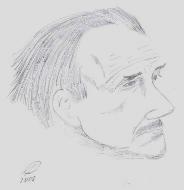 Hence, interference can be described via the multiplication of an addition of complex wave functions, with its corresponding complex conjugate� Dirac writes about a [monochromatic] beam of light consisting of a large number of photons� In the case of a large number of indistinguishable photons his words are just fine� . 1. F. J. Duarte, Tunable Laser Optics (Elsevier-Academic, New York, 2003) Chapter 2. 2. F. J. Duarte, Interference of two independent sources, Am. J. Phys. 66, 662-663 (1998). F. J. Duarte, K. M. Vaeth, and L. S. Liao, Electrically excited organic light-emitting diodes with spatial and spectral coherence, US Patent 7667391 (February 23, 2010). F. J. Duarte, Laser sensitometer using multiple-prism beam expansion and a polarizer, US Patent 6236461 (22nd of May, 2001). F. J. Duarte, Electro-optical interferometric microdensitometer system, US Patent 5255069 (19th of October, 1993). Page published on the 9th of July, 1997. Updated on the 30th of September, 2016.